PA is looking for a National Membership & Programs Manager to work at both a strategic and operational level to design and deliver the national member engagement strategy that aims to attract and retain members by delivering programs and services to members and the Australian philanthropic sector, more broadly. You will have the desire to design and curate a nationally relevant program for members to inform, educate, engage and stimulate their philanthropic practices. You will be commercially minded ensuring the right balance exists between member value and organisational sustainability. Creative in your approach, you will consider ways to develop and leverage new and existing relationships within the Australian philanthropic community and beyond to deliver a relevant, high quality, affordable offering to new and existing members. As part of the senior management team, you will contribute to the organisation’s overarching strategy, leading and inspiring a small team to deliver on your organisational imperatives. You will understand the for-purpose landscape well and play a role in thought leadership, representing the organisation and the sector more broadly. You will have direct or transferable experience in working with members and developing, implementing and evaluating programs. You will excel in managing meaningful relationships with a wide variety of stakeholders, operating in a personable, approachable manner. You will be capable of understanding and contributing to the organisation’s operations, systems and processes and have a good understanding of IT, CRM and data use and management. You will be financially literate, able to create and manage budgets and you will have highly developed project management skills. Critical to your success will be a willingness to flex between strategic and operational initiatives. As this is a role supporting a national membership program from PA’s Sydney location, the ability to travel interstate is required, and to work outside of normal hours on occasion. 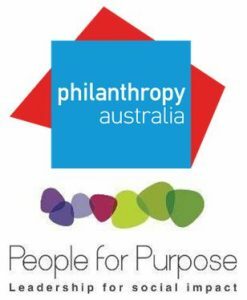 Philanthropy Australia (PA) is the peak body for philanthropy in Australia. This independent organisation exists to serve a community of funders, social investors and social change agents working to achieve positive social, cultural, environmental and community change by leveraging their financial assets and influence. With over 650 trusts, foundations, organisations, families, individual donors, professional advisers, intermediaries and not-for-profit organisations in their immediate network, PA exists to connect individuals and organisations, collect and share data and insights, offer professional learning and lead and advocate on behalf of the sector as a whole, to advance philanthropy in Australia. Its purpose is to serve the philanthropic efforts of its members to achieve more and better philanthropy. 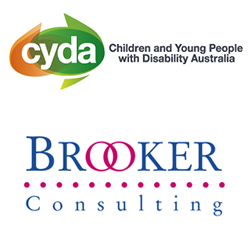 Please quote in application: National Membership & Programs Manager via Pro Bono Australia.